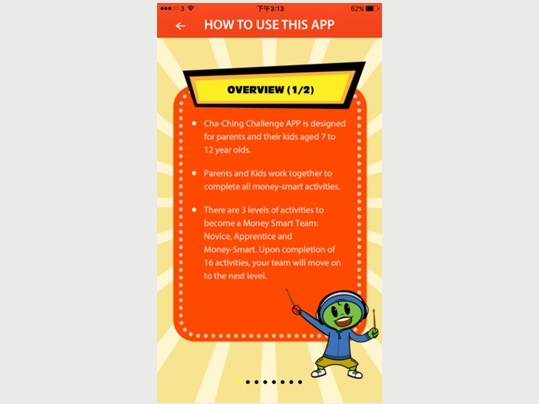 Cha-Ching Money-Smart Kids is a highly rated, award-winning financial literacy programme that seeks to help nurture money-smart skills in children aged 7 to 12 years old. Everyday we make choices with our money. 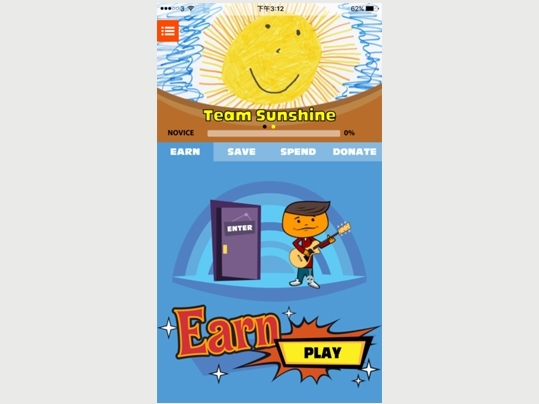 We can: EARN, SAVE, SPEND and DONATE. Most of the time, children see only SPEND. However, we believe that financial literacy is a critical life skill that needs to be promoted at young age in order to shape responsible financial behaviors throughout each stage of their lives. 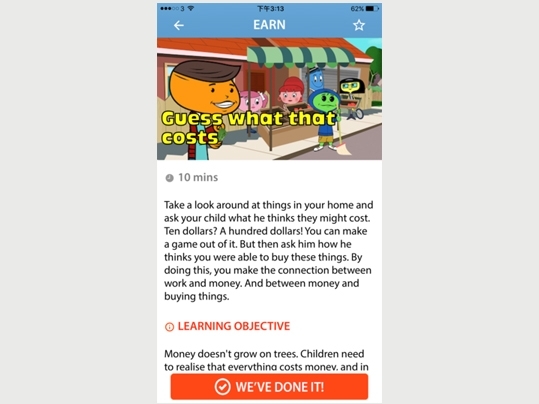 Cha-Ching Challenge App is a unique, one-of-its-kind app that provides activity ideas for parents to have discussions and activities around the four key money management concepts of EARN, SAVE, SPEND and DONATE, thus helping parents to encourage money smart habits in their kids in a fun and interactive way. 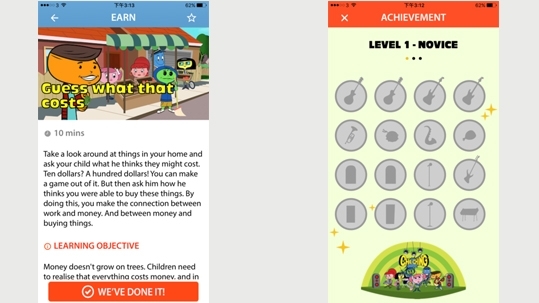 All activities in the Cha-Ching Challenge include Learning Objective to help parents and kids take away key learnings for each activities. 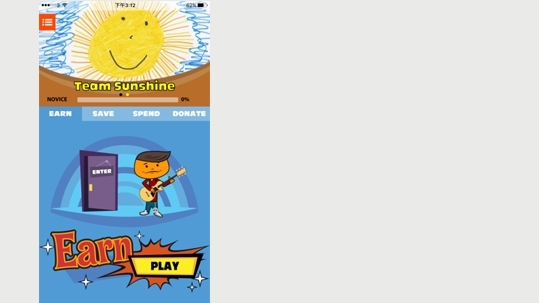 Cha-Ching Music Videos are also incorporated into some activities as additional learning tools. 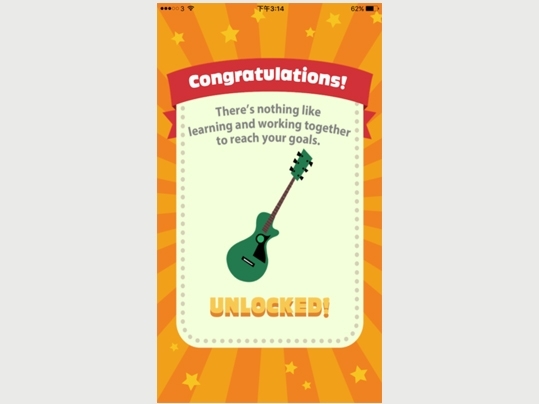 •	Capture your activities, experience, or achievement through journals, photos, or videos. 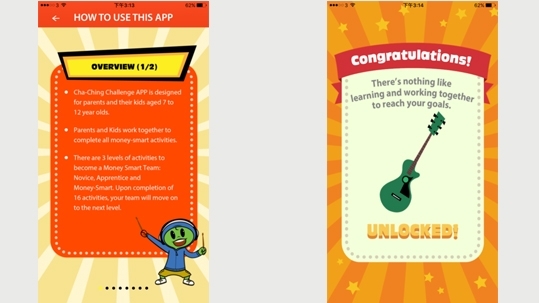 •	Share these special moments, progress, photos or videos with family and friends using the integrated social media tools. 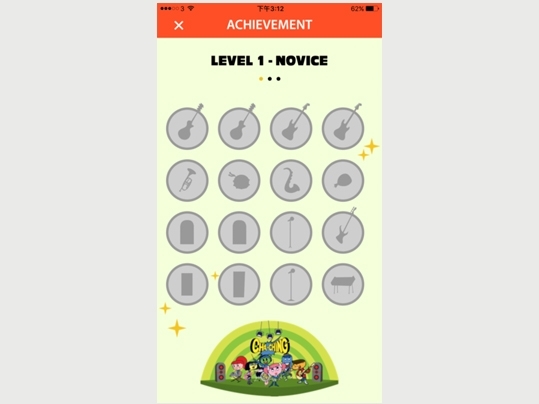 Parents can also opt to receive a notification to play the activities at a preset schedule. Go to Setting, then Notification and select the notification schedule. 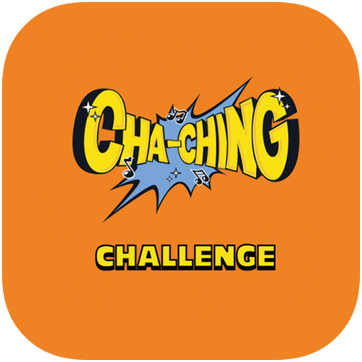 The Cha-Ching Challenge is brought to you by Prudence Foundation in partnership with Cartoon Network Asia.